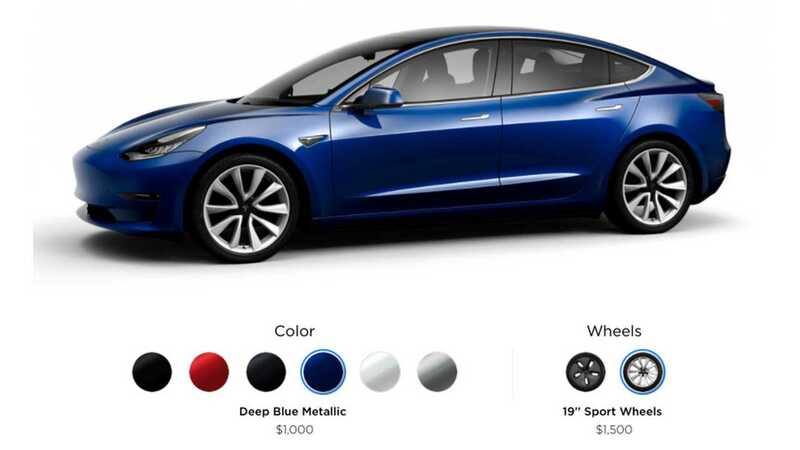 Tesla has decreased the number of Model S and Model X versions this year - officially for simplicity's sake...but unofficially, we feel it is mostly likely to avoid spec/pricing comparisons with the new Model 3 (details). 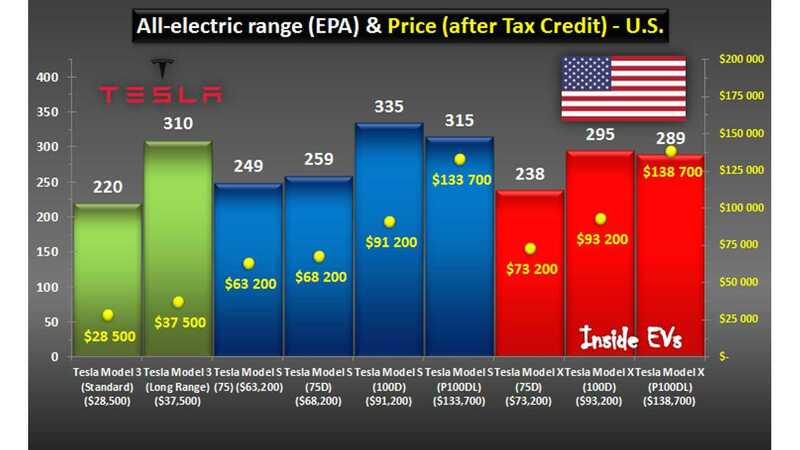 Overall, Tesla narrowed the choice to two battery options for its premium offerings - 75 kWh and 100 kWh. The 60 kWh and 90 kWh are now no longer available any more, with the RWD-only Model S being phased out shortly (no final date has yet been given on sunset date for new orders). Even though the Model 3 was recently released in limited/captive deliveries, we still don't know yet the official battery sizes of the two announced versions (short and long range), although we have a good idea of the ballpark. 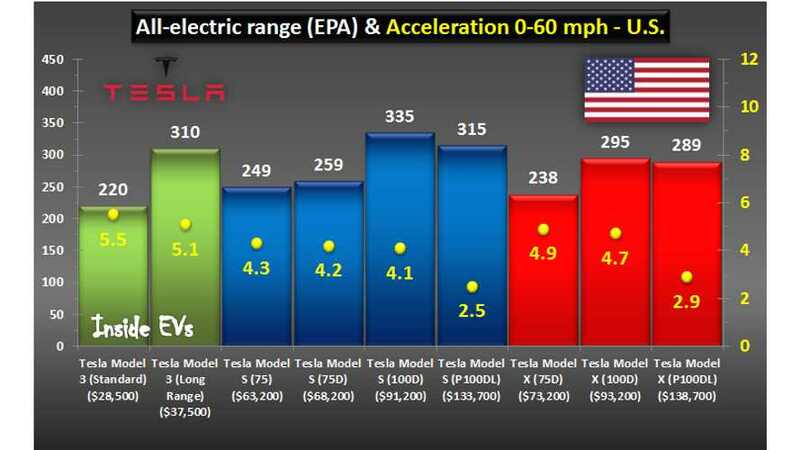 So until then, what we have here is a handy comparison of the three base/main parameters for all Teslas that are in production (or at least about to be): price, range and the acceleration. It is especially handy to see the difference charted between the Model 3 and Model S, which is much more expensive, but even in the entry level 75 is quicker than the Model 3 - which again, we suspect has been lineup-engineered to this spec. The numbers almost scream out to us for the future "P"/AWD version of the Model 3 to arrive with a 0-60mph time of about 4.3 seconds. However, the range of 310 miles (EPA) in the Model 3 is something that only 100D or P100D could beat (at more than twice or triple price).